Check out this blog post on a great math website! Animated Math Lessons for Kids. I was looking for more ways for my students to practice prefixes and found this awesome Pinterest Board by Gay Miller. She has a great mix of online and paper/pencil activities. Be sure to check it out! My third graders are studying prefixes, so I headed to the web and searched for a way to introduce the topic. This flocabulary rap song video was a big hit! The kids love the beat and the video contains tons of great information. Then, I challenged the kids to make it through the pyramid by making words with prefixes in the game Race to Ramses. This game is always a hit and really makes the kids think! While I was presenting at the Fall Ed Tech Conference, I was asked several questions about how I use Symbaloo in my classroom. Symbaloo is a free way to aggregate and share websites in online mixes. I have used Symbaloo for a while, but it wasn't until last year that I really started to utilize it in creating web links for my students to access at school and home. I like the fact that when embedded, students won't see adversitements or all of the user information on the Symbaloo site. There are many great web mixes that other people have made. If they have shared their mix and made it public you can add it to your Symbaloo or use it directly on the Symbaloo site. I often find I really like several tiles from a found mix, but would like to leave out others. While you can't alter a web mix made by another person, you can copy tiles from the mix to a mix of your own. Right-click or Control-Click to bring up the Edit Tile Menu. Copying saves me time and makes sure all the mixes my students use are completely functional for their needs. Do you use Symbaloo? I would love to hear about other tips/tricks you have! I would love to hear how you are or plant to use these tools in your classroom or school! I'm excited to announce that I (along with my colleague, Jason) will be presenting at the Florida Educational Technology Conference in Orlando, Florida in January of 2014! Join us as we share our favorite technology treasures with you! We will share web 2.0 tools, iPad apps, curriculum related interactive websites, and much, much more. Participants will also learn how we implement these finds in our preparation, teaching, and assessment of students. All attendees will walk away inspired, excited, and ready to use these fantastic treasures in their classrooms. Come and learn how a couple of elementary teachers are using Google Drive with students in grades 2 through 5. Attendees will see how we organize and manage student created files and discover creative and collaborative projects using Google Documents, Presentations, Spreadsheets, and Forms. Access to templates will be available to attendees via Google Templates and a web link provided at the end of the session. 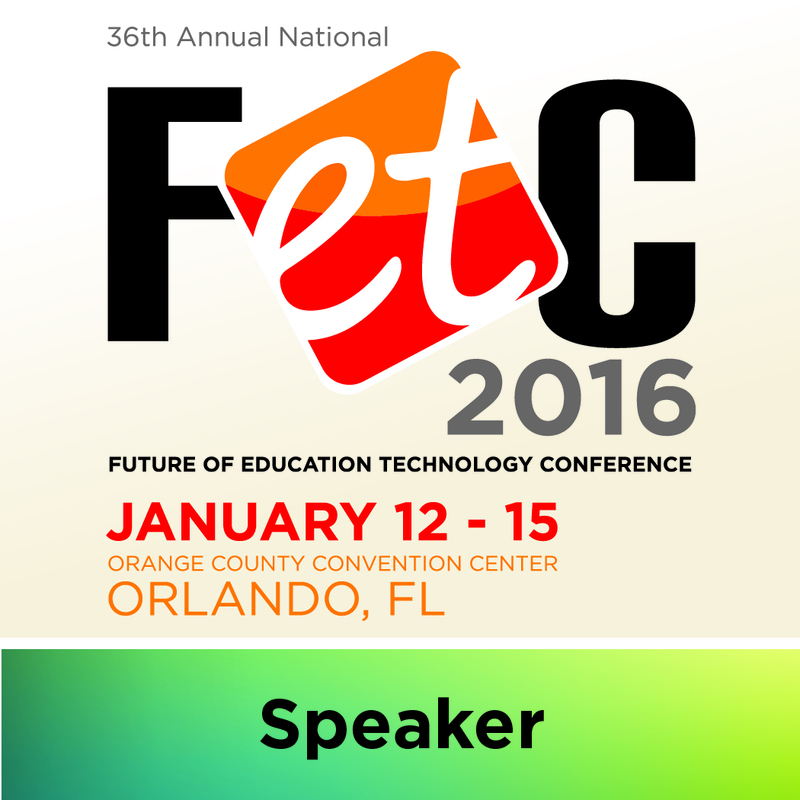 If you will be coming to FETC we would love to have you attend!